﻿﻿﻿﻿It's Wednesday again already and time for the Creative Inspirations Challenge. Challenge # 148 - make a Tag! Mona - this is a stunning tag. Your colouring of Tilda is perfection, and I love all those lush embellishments. 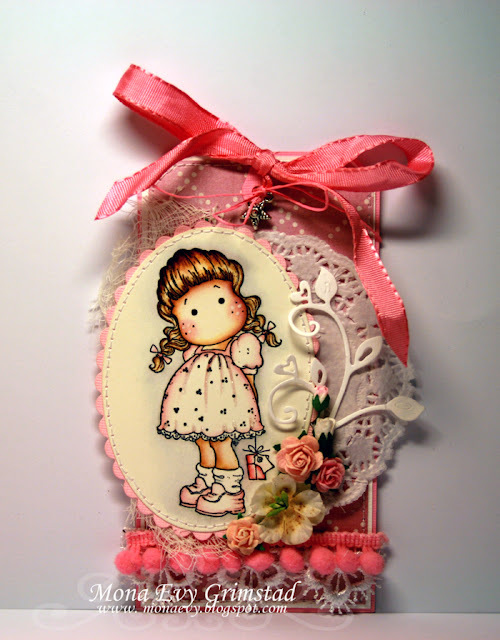 Beautiful Tag, Love the image and the pretty colors too!! Nyydelig tag!!! Rosa er jo bare såå fint:-) og kjempefine detaljer!